The combination of the INTEGRITY RTOS' proven separation architecture and i.MX 8 performance and resource partitioning enables carmakers and Tier 1s to realize quantitative competitive advantages on their production programs. LOS ANGELES — November 28, 2017 — Automobility LA, Booth #110 — Green Hills Software, the global leader in high-assurance real-time operating systems and virtualization for automotive, today announced the availability of the safe and secure INTEGRITY® real-time operating system (RTOS) and supporting products/services portfolio for the i.MX 8 family of applications processors from NXP® Semiconductors. The trusted 64-bit INTEGRITY run-time architecture is supported by ASIL-certified development tools, embedded cryptographic tool kit and cloud-based secure credential management system. The combined scalable platform enables global carmakers and their suppliers to bring new levels of safe and secure graphics-rich performance to the software-defined vehicle cockpit, such as safety-certified instrument clusters, multi-screen entertainment and vehicle-critical information. In today’s vehicles, drivers and passengers want a digital experience like their everyday experience — rich 3D displays, seamless connectivity, smart graphics interfaces, app stores and more. In response, automakers and their Tier 1 suppliers are adding hundreds of millions of new lines of software to automotive ECUs — new software from diverse global suppliers with a wide range of requirements for automotive safety, security and robustness. Historically, this would require additional ECUs with added cabling, cost, weight and the space. Instead, the emerging alternative approach is ECU consolidation to combine multiple software functions and ECUs into fewer or single ECUs. The i.MX 8 families of applications processors are feature and performance-scalable multicore platforms, based on 64-bit Arm® Cortex®-A72, -A53, -A35 and Cortex-M4. Marquee hardware features include an advanced multi-stream vision processing pipeline, dual-core GPU and system MMU — all providing the efficient performance to drive four 1080p screens, eight-camera 360° surround view with image stitching, dedicated cryptographic security and HiFi 4 DSP speech recognition with noise cancellation — to name a few. "Working with proven partners like Green Hills enabled us to achieve over 130M vehicles powered by i.MX since 2007. 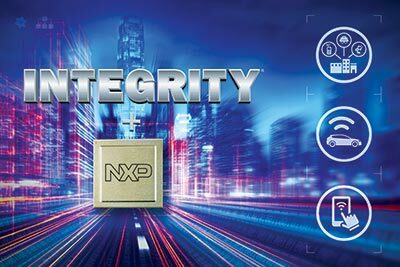 The next-generation software defined integrated cockpit is only fully realized if the various software functions can be safely and securely run with absolute trust and assurance," said Ron Martino, Vice President, i.MX Applications Processor Product Line at NXP. "By leveraging the combination of the INTEGRITY RTOS’ proven separation architecture and i.MX 8 performance and resource partitioning, carmakers and Tier 1s can realize quantitative competitive advantages on their production programs." INTEGRITY RTOS, the trusted run-time foundation for safety/security-critical software in industrial, avionics, medical, automotive and railway. Performance-focused optimizations for the Arm 64-bit Cortex-A72 and Cortex-A53 cores leverage i.MX 8 accelerators such as NEON SIMD and hardware virtualization. INTEGRITY Multivisor™ secure virtualization extension safely runs guest operating systems such as Linux and Android alongside safety-critical ISO 26262 applications, assuring freedom from interference with native execution performance, flexible inter-process communication and the option to share the GPU or other critical system resources. Full GPU-accelerated 3D graphics compliant to OpenGL and Vulkan standards. Complete AUTOSAR-compliant application framework, allowing AUTOSAR software components to run in INTEGRITY RTOS trusted partitions. Tiny and simple µ-velOSity™ RTOS for the Cortex-M4F core, needing less than 2KB of ROM. Simple API and complete source code for the RTOS and select middleware is included. MULTI® 64-bit IDE and debugger, record-setting Green Hills C/C++ Optimizing Compilers and 64-bit toolchain, execution profiler and many other integrated time-saving tools. Integrated code quality tools including MISRA C adherence checker, run-time error checking and DoubleCheck™ static source code analyzer. Multicore run-control, board bring-up, low-level debugging and real-time trace debugging with the Green HiIls Probe and SuperTrace™ Probe utilizing industry-standard CoreSight™ from Arm. The INTEGRITY RTOS and comprehensive MULTI integrated development environment for i.MX 8 and i.MX 8X families are available today. Multivisor, µ-velOSity and Embedded Cryptographic Toolkit support are in-progress. Contact Green Hills for more information. Green Hills, the Green Hills logo, INTEGRITY, Multivisor, µ-velOSity, MULTI and SuperTrace are trademarks or registered trademarks of Green Hills Software, in the U.S. and/or internationally. All other trademarks are the property of their respective owners.